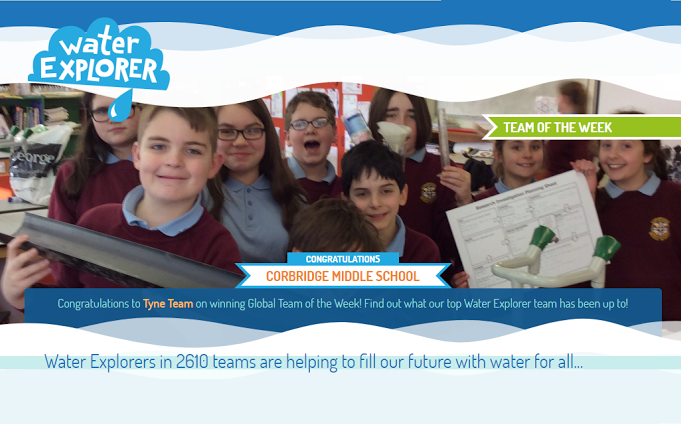 ​This week Corbridge Middle School is Global School of the Week for ﻿Water Explorers﻿. Water Explorer is a fun, inspiring and educational programme that empowers thousands of students across the world to lead joint action on water issues for their schools and communities. Is bottled water actually better than tap water? Can dirt be used to clean dirty water? How much water and soap do you need to wash your hands effectively? A novel water pump for the developing world? The pupils are preparing a whole school assembly for the 10th July to share their experiences. A representative from Water Explorers is coming in to help the students prepare.